?A rich and glowing drama that transcends the bounds of spectacle!? Burbank, Calif., May 30, 2005 ? 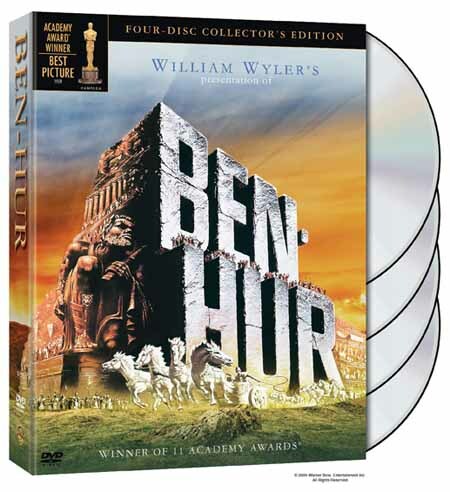 Ben-Hur, winner of 11 Academy Awards®, will debut as a Four-Disc Collector?s Edition DVD on September 13 from Warner Home Video. William Wyler?s epic masterpiece has been newly remastered from the original 65mm film elements. The DVD now boasts more than 10 hours of bonus features including an all-new documentary on the film?s influence with leading filmmakers including Ridley Scott (Kingdom of Heaven, Gladiator) and George Lucas (Star Wars films), a making-of documentary hosted by Christopher Plummer, scene specific commentary by Charlton Heston, rare screen tests, a reproduction of the original theatrical souvenir program, plus the 1925 silent version of the film with musical score by Carl Davis. 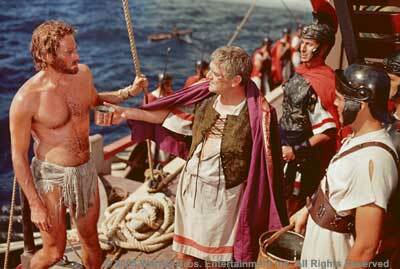 In addition, a separate Ben-Hur Four-Disc Collector?s Edition will be available with a Bible study guide. Both editions will sell for $39.92 SRP/ $29.95 MAP. Orders are due August 9. ?Ben-Hur appeals to audiences of all ages with its spectacular action set pieces and its timeless tale of faith and redemption,? notes Mike Radiloff, Vice President of Theatrical Catalog Marketing. 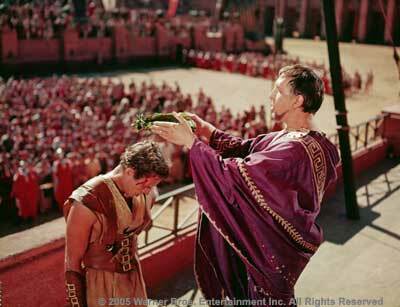 ?A perennial best-seller, Ben-Hur has sold more than five million copies on home video. The new Four-Disc Collector?s Edition will allow viewers to experience the film?s grandeur and stunning visuals as never before.? 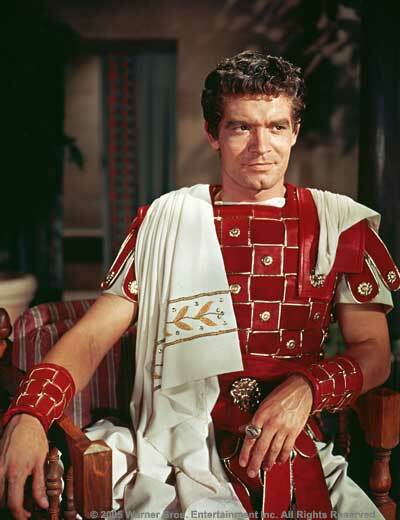 With 100,000 costumes, 8,000 extras, 300 sets and a budget that, at the time, was the most expensive in MGM?s history, Ben-Hur is widely considered to be one of the most accomplished Biblical-era epics ever made. Based on Lew Wallace?s best-selling novel and adapted by Karl Tunberg and a number of uncredited writers including Gore Vidal and Maxwell Anderson, Ben-Hur stars Charlton Heston, Stephen Boyd, Jack Hawkins, Haya Harareet, Hugh Griffith, Martha Scott, Cathy O?Donnell and Sam Jaffe. 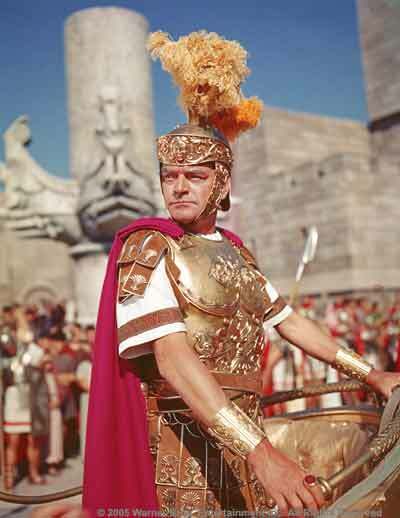 Heston brings a solid physical and moral presence to the title role of Judah Ben-Hur, and his charismatic performance earned him one of the film?s 11 Academy Awards (a feat equaled only by Titanic and The Lord of the Rings: The Return of the King). In addition to the Best Actor award, Ben-Hur also captured Oscars® for Best Picture, Best Director, and Best Supporting Actor (Griffith). The movie was filmed in a process known as MGM Camera 65, one of the widest prints ever made with a width almost three times its height. This allowed for spectacular panoramic shots and bold action sequences. 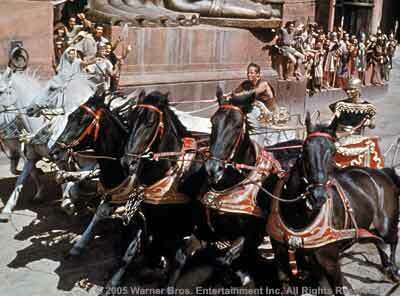 Even by today's standards, Ben-Hur?s now legendary chariot race still astonishes. The lack of computer-generated effects, the visually stunning MGM Camera 65 process, and excellent cinematography all make the scene one of the most memorable in modern cinema. 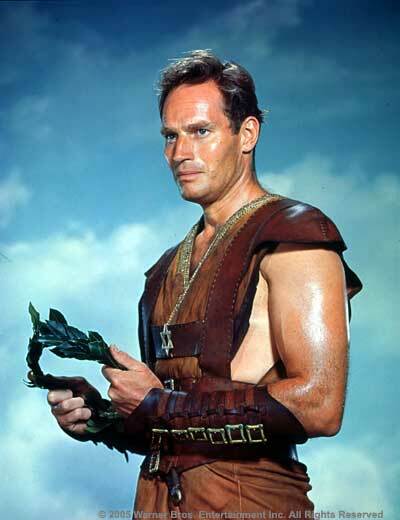 After his boyhood friend Messala?s fanatic loyalty to Rome makes him a powerful enemy, Jewish nobleman Judah Ben-Hur (Heston) is found guilty of an attempted murder he did not commit. His family is banished and he is enslaved on a warship. 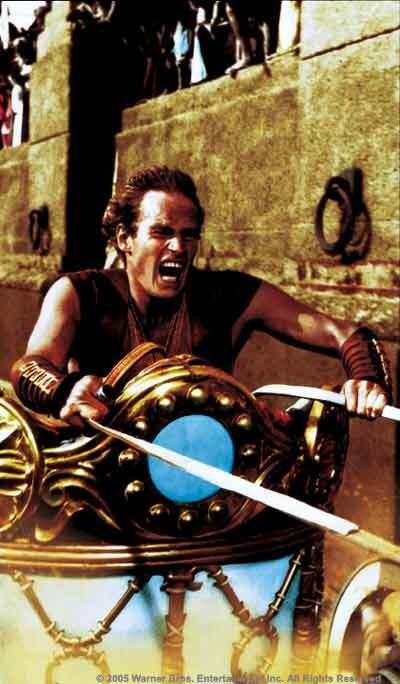 Yet, through his ferocity in a fierce sea battle, Ben-Hur is able to escape and become a horse trainer. 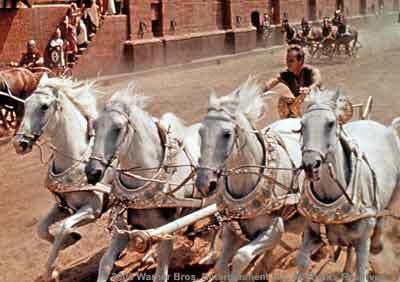 To exact his revenge, Ben-Hur competes against Messala (Boyd) in the Roman chariot races. They race, locked in a battle to the death. Barely surviving, Ben-Hur forsakes the sword for Christ and finally finds redemption. To bolster awareness of this promotion, a national media campaign is planned to include print advertising in Time, Entertainment Weekly, People, Premiere, The New Yorker, Fortune, The New York Times Magazine and select Christian publications such as Charisma and Christianity Today. In addition, on-line advertising will leverage WHV's Ben-Hur microsite (www.BenHurDVD.com) with additional advertising on Biography/History, About /History and Movies, AMC, Crosswalk, Lifeway and Belief web sites. A special Ben-Hur DVD with a Bible study guide insert will also be available and will be used to reach out to faith-based consumers via a specialized publicity and promotional campaign targeted to the Christian market. With operations in 90 international territories Warner Home Video, a Warner Bros. Entertainment Company, commands the largest distribution infrastructure in the global video marketplace. Warner Home Video?s film library is the largest of any studio, offering top quality new and vintage titles from the repertoires of Warner Bros. Pictures, Turner Entertainment, Castle Rock Entertainment, HBO Home Video and New Line Home Entertainment.